Meet our SNAP-Ed nutrition educators who present classes in schools and community settings on healthy food choices and ways to increase physical activity. What It Is: The Skagit County WSU Extension SNAP-Ed (formerly Food $ense) is a program designed to bring helpful information regarding healthy life choices to individuals and families of Skagit County. We cater our teaching programs and demonstrations specific to what the people of the Skagit community need, making our program a unique commodity. 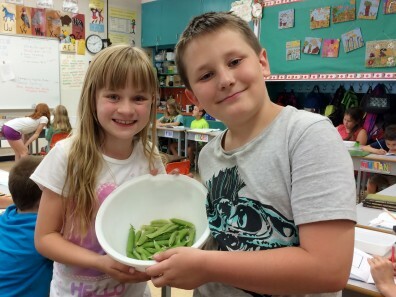 What We Do: Promote healthy eating and active living for youth attending schools with 50% of students who are eligible for Free and Reduced Lunch in Skagit County. We also provide nutrition education at locations such as food banks and transitional housing to further promote healthy living for those with limited resources.The Food $ense experience promotes self-reliance and participants have fun learning through interactive, hands-on activities. As families grow and society gets busier and busier with soccer practice, school plays, dance classes, work and school it’s getting harder and harder for everyone to get together for a sit down meal. Check out these tips for getting everyone around the table for a home cooked meal and some quality family time, and the reasons why it’s important for everyone in the family. Need some ideas for ‘Family Meal-Time”? Check out this great recipe book for easy recipes the whole family can help put together! Heading to the grocery store with the kiddos?! Have some fun with this Grocery Store Treasure Hunt! A great way for the young’ins to help you out with the shopping…and we all need some of that! Want to keep track of you activity throughout the day? USDA has an Activity Tracker for anyone to use that allows you to track your activities each day! Simply type in the activity(s) you did. Then type in how many minutes you spent doing that activity and the day of the week. Then you can see how much you’ve done not he meter to the right of the page. Think you know your fruits? Test your knowledge with this fun Fruit Quiz! USDA and Washington State University are equal opportunity providers and employers. This material was funded by USDA’s Supplemental Nutrition Assistance Program. SNAP. The Supplemental Nutrition Assistance Program (SNAP) provides nutrition assistance to people with low income. 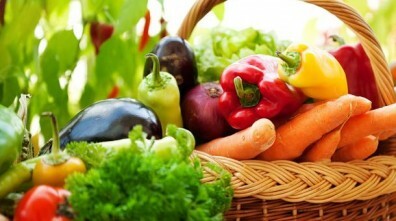 It can help you buy nutritious foods for a better diet. To find out more, contact: http://foodhelp.wa.gov or the Basic Food Program at: 1 877 501 2233.